Secure Data Recovery offers fast and secure forensic and data recovery services in Tulsa, OK. Tulsa is home to several notable museums and over 100 beautiful parks. Tulsa’s great culture is what drives so many people here, making it the second largest city in Oklahoma. A city this big needs to have a place they can turn for forensic or data recovery services. Secure Data Recovery is proud to serve the residents of Tulsa, OK and it surrounding areas. Data loss situations are unexpected and should be handled immediately to prevent further data loss. If your experiencing a data failure call Secure Data Recovery today for a free diagnostic. 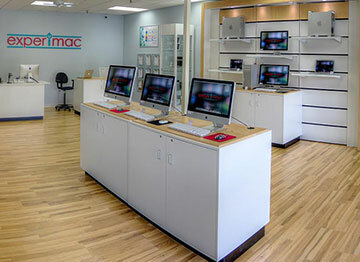 Our professional engineers are all Mac certified technicians meaning, they can work on all of your Apple products. They also have decades of experience with both forensics and data recovery. Some of the most common types of data recovery cases our team in Tulsa, OK works with daily are:hard drive failure, server failure, accidental deletion, RAID failure, corrupt files, and more. At Secure Data Recovery your security is our top concern. We take all the appropriate steps to keep your data secure. We hold an SSAE 18 Type II certification, which shows that we take the necessary step to keep your information safe and secure. All of our other certifications are proudly displayed on our website for all of our customer to read. Regardless of your media type or the cause of data loss, our Tulsa location offers a range of services to quickly recover your files. See some of our featured data recovery services below. We understand that our customers need their data recovered right away. Our flexible service options allow customers to pick a plan that works best for them. We even offer expedited and emergency services so our customers can quickly get their data back and continue business as usual, minimizing the amount of downtime. Contact our knowledgeable customer support team in Tulsa, OK today to begin your risk-free evaluation. They are available 24 hours a day, 7 days a week for your convenience. Our team can assist you with reducing further risks of data loss by giving you step by step instructions on how to manage your device. Call 1-800-388-1266 to get started today. My external hard drive crashed that had 10 years of pictures on it from our wedding day pictures, to the birth of our children, and to everyday life. I was devastated! The recovery of those pictures wasn’t something you could put a price on. What a blessing it is that technology has advanced to the point of being able to recover photos. Secure Data Recovery was a breeze to work with and Rob was very informative every step of the way. I knew my pictures were in good hands. I wouldn’t hesitate to use them again, but I think I have learned my lesson and will always have my pictures in two places. I was satisfied with the service of the agent I worked with, Mitchell Moore. He responded promptly to all of my questions and even helped me unzip the file with my data. So glad that it was not lost.